The Janesville Police Department hosts this 15th Annual Bike Rodeo, a safety event designed to engage and entertain children while demonstrating key safety skills. Participants will have the opportunity to ride through an obstacle course that promotes bike safety (helmets required). The event will feature prize giveaways and free food for participants. 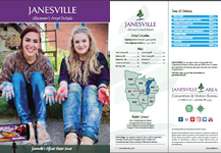 This event is free and open to all children and families in Janesville. New bike and monetary donations are welcome.